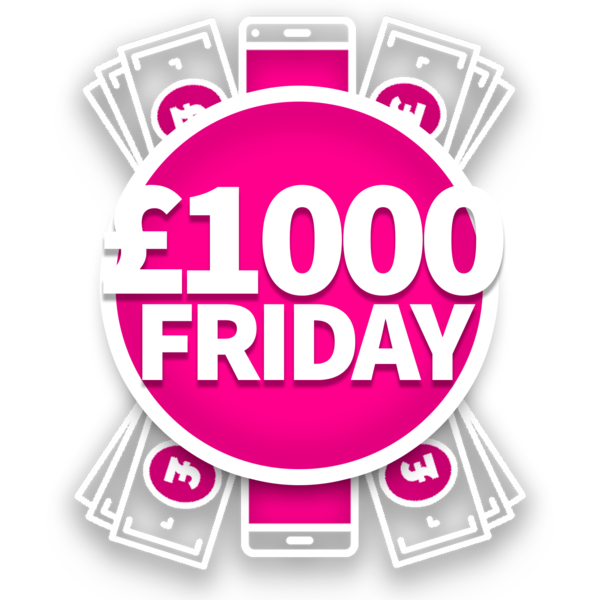 £1000 Friday closes for the final time in 2018! After giving £15,000 this year Liam King from Ashford won the competition in its 16th round. Liam was lucky to get the call after the first listener randomly generated didn't pick up their phone and the call went to answerphone! Liam text in during the breakfast show with Garry and Laura. Garry and Laura open the lines at 8am and Rob closes them at 5.50pm and listeners across Kent are asked to enter via text or online to be in the draw to win with one caller getting the exciting call back at 6pm. Rob called Liam back made him go back into the office to announce the win before he could have the money " You are joking! I play everytime and now Christmas is sorted" said Liam who will be treating his girlfriend Caprice, Mum, Dad and rest of the family to a bumper Christmas. £1000 Friday will return in 2019 in February, but with a twist!